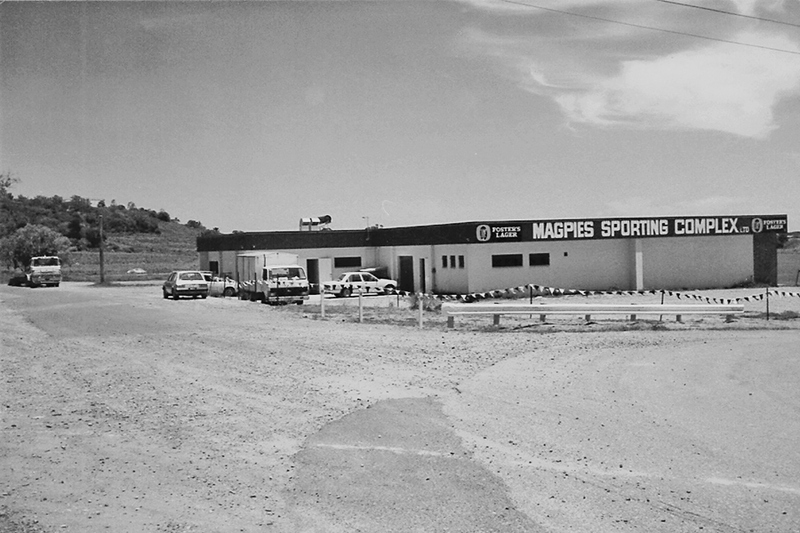 Magpies Sporting Complex commenced trade in 1980 from a modest single level, licensed club house. 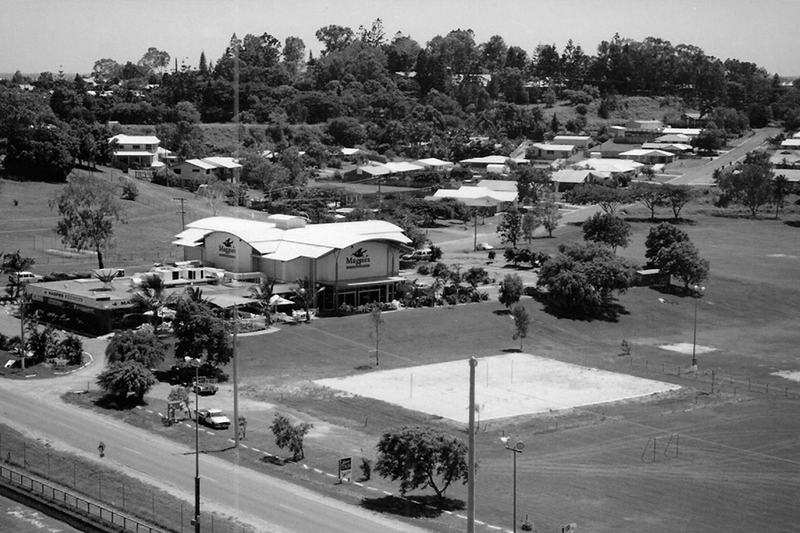 The original club house was known as ‘Montys’ and is now the current Sports Bar trading area. 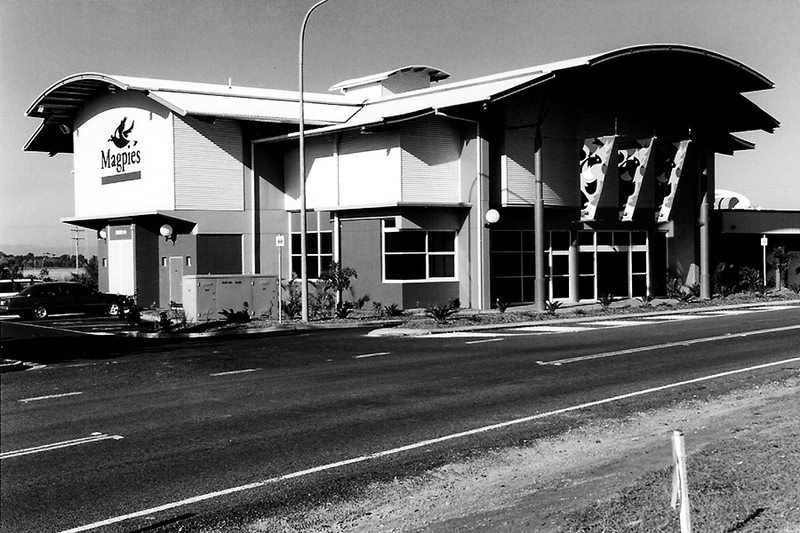 Magpies was officially opened on the 27th October 1984 by Geoff Munz, Member for Whitsunday. The land was originally farming land, and a special committee was formed within the club for the purpose of raising funds and acquiring free hold land as the State Licensing Laws did not permit Licence Clubs to be established on leasehold land. The committee consisted of: President Les Greenhill, Secretary, Gar Houston, Vice Presidents Ray Toomey & Stand White, Treasurer Syd Duncan and Charlie Jensen, Charlie Ogilvie, Herb LeGarde, Col Kingsbury, Stan Sologinkin, Ernie Mooney and Bill Gibson. One of the early accomplishments of the committee was the construction of an amenity block on the football grounds, and it was done by outstanding team work, hard work by all of the committee members and the generosity of the clubs supporters. The amenities block is still standing today and survived the 2008 floods. 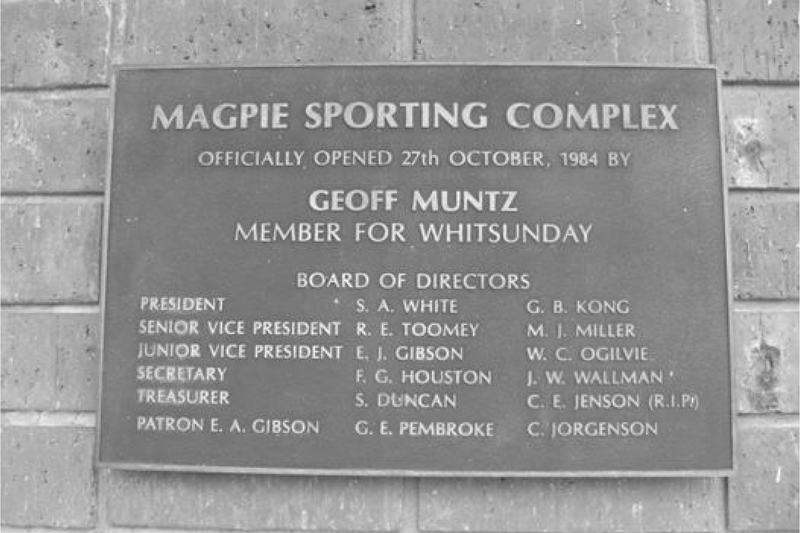 The original Board of Directors who founded Magpies Sporting Complex were: President SA White, Senior Vice President R E Toomey, Junior Vice President E J Gibson, Secretary F G Houston, Treasurer S Duncan, Patron G E Pembroke. Committee Member included GB Kong, M J Miller, W C Ogilvie, J W Wallman, C E Jenson (RIP) and C Jorgenson. This Board of Directors amalgamated all of Magpies Sporting Clubs which included Australian Rules, Soccer, Rugby League, Hockey and Cricket. These clubs were looking for grounds to train and play on, plus a place to hold meetings and have a few drinks socially, Magpies helped them achieve this through affiliation. In 1996, the club undertook a major facilities upgrade and extended the facilities to a modern two level structure incorporating a separate gaming room and lounge bar and provision to develop a second level for functions trading. In 1998, the club upper level was fitted out: the shell of the building having been constructed as a part of the 1996 developments, to provide a function venue with a seating capacity of 350 for Banquet style dining. Following the very successful gaming room renovations in 2012, Magpies Sporting Club made the decision to undertake a likeminded project for the food and beverage areas of the club. The original club house roof was in dire need of repair, and the opportunity was available to complete the two jobs simultaneously. Planning commenced in early 2012 and Brand + Slater Architects drawn plans were approved in March 2013 by the Board of Directors. The successful builder, Woollam Constructions, began the project in May 2013, and completed it in August 2013. The result is a modern, captivating design, incorporating an extended Sports Bar now with 80% more seating, including a lounge area and dual sound zones, plus a big screen TV for all your favourite sporting events. A new service TAB area to the Sports Bar, and a large Designated Outdoor Smoking Area with a view of Sologinkin Oval has been added. An inviting tropical deck area has extended the food and beverage capacity of the entire Club overlooks a new children’s playground. The Décor was championed by Clair Hollier from Brand + Slater Architects, and offers a soft, modern, yet exciting feel to the bars and bistro. Come and experience our modern and inviting new renovations. See in person how your favourite community club is growing from strength to strength.